Tech N9ne’s “Hostile Takeover 2012” Tour is gearing up to break records this summer at an impressive 90 shows in 99 days! Joining Tech for the historic tour will be Cleveland’s own Machine Gun Kelly along with Strange Music’s Krizz Kaliko, ¡MAYDAY!, Stevie Stone, and Prozak. Fans attending the tour can add a bit of VIP flavor to their experience with the exclusive VIP packages now available. 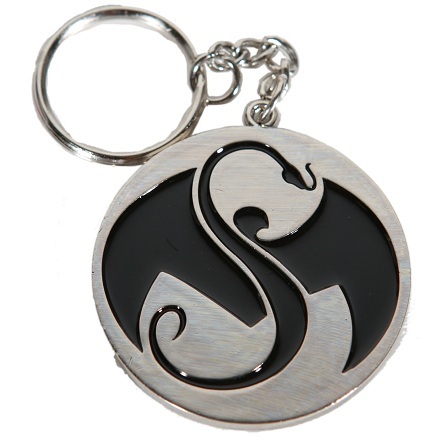 Featuring limited items like this exclusive Strange Music Keychain, the VIP package is the perfect way to remember this historic event. Don’t miss out on your chance to own this and other great exclusives by ordering a VIP package to Tech N9ne’s “Hostile Takeover 2012” Tour! Click here to purchase a VIP package to Tech N9ne’s “Hostile Takeover 2012” Tour. Have you ordered your VIP package yet? What’s your favorite item so far?